Screw New York and New England. I’m rooting for Pittsburgh. 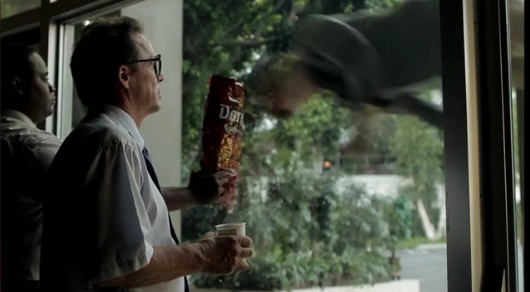 I missed my chance to vote for this, but Doritos held a commercial contest in which viewers were asked to vote their favorite among five finalists, with the winning commercial being shown during the Super Bowl and earning a $50,000 prize with a chance for a million dollar prize. One of those five finalists was Burgher Joby Harris whose “Birds of Prey” commercial is absolutely hysterical. I’m assuming the bird being portrayed is a pigeon because what other bird acts that aggressive over chips? Go have a watch! I think it’s a winner. If I wrote that commercial, the dude would have puked up his Doritos onto the sidewalk and then immediately snarfed them back down again. And then I would have appeared on screen and punted him to Mars. Heh, the bag stuck on his head at the end made me laugh.